I did not receive my Cashback after doing recharge/bill payment? Please note that Cashback does not get credited immediately into the wallet, it takes up to 24-36 hours to reflect the same into your TalkCharge wallet. In case you do not receive the Cashback within 36 hours, please confirm that you have followed the Terms & Conditions of the offer. We always ensure that you are getting the appropriate cashback amount. In case your cashback amount is less than what you expected then please go through the terms and conditions once again. Transaction History is showing Order Failed for my recharge/bill payment. What does it mean? If you are seeing 'Order Failed' in your Recharge/Bill Payment history, it means that your transaction has failed and you will receive the refund within 24 hours. We always assure that you are getting an appropriate cashback. In case your cashback amount is less than what you expected then please go through the terms and conditions once again. My Bill payment is showing Successful but biller not updated? My Recharge is showing Successful but didn't receive the benefits? Sometimes the operator takes up to 4 hours to process your recharge. In case the recharge still hasn't gone through, we will refund your entire amount within 24 hours. My recharge/bill payment is showing pending. What does it mean? It means your recharge/bill payment is still in process. Sometimes recharge/bill payment gets stuck at the operator's end and it usually takes up to 48 hours to get the actual status from the operator. You will get updated on success or your amount will be refunded. My recharge/bill payment is showing Your Payment is Pending but amount gets deducted from my bank account? This happens either because of connectivity issues or technical issues with your bank. In such cases your transaction amount is refunded within 24 hours in TalkCharge wallet. However, the bank takes 3 to 10 working day to process refund. My recharge/bill payment is showing Your Payment is Pending but amount gets deducted from my TalkCharge balance? My recharge/bill payment is showing Payment Failed but amount gets deducted from my bank account? This happens either because of connectivity issues or technical issues with your bank. In such cases the amount automatically gets refunded to your source account within 3-5 business days. My recharge/bill payment is showing Payment Failed but amount gets deducted from my TalkCharge balance? My Giftcard purchase is showing Successful but I haven't received any? 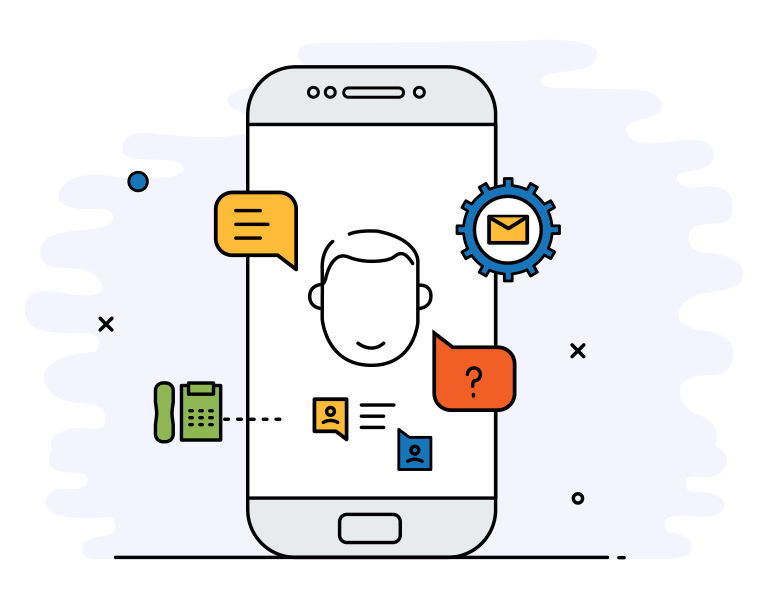 You can always write us directly at care@talkcharge.com and our customer support team will be happy to assist you. In addition to the discounts that you get while shopping at TalkCharge, we help you get an Extra TC Cashback on your all purchases. 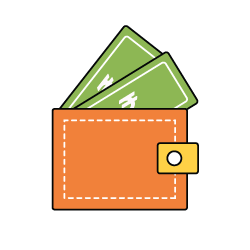 All the stores that have additional cashback offers have been labelled with Orange tags and have information about the value of cashback. "+ Upto 7.5% TC Cashback" and "+ Flat Rs. 250' TC Cashback" are examples of such offers. To ensure that you get cashback, first register yourself at TalkCharge and browse through our catalogue of deals and offers. Once you have chosen the desired deal, you will be redirected to the store you want to purchase via the TalkCharge link. Once the purchase is done, we track it down within 48 hours and your associated Cashback to the purchase is added to the Pending Balance at the Deals cashback section. You will receive confirmation on your cashback within 4-8 weeks since Stores/Merchants wait till return and exchange period is over before they give us any final confirmation. Once the confirmation is been received, we make your pending cashback available to you. You can use this cashbcak to do Recharges, Bill Payments, purchasing Giftcards. Note: Amount of Pending cashback may vary upon confirmation as per store policy. How can I find out the exact amount of my cashback for any purchase? For this you need to go to specific store/merchant page in Website where you will find a table with all the cashback details on extreme left of the page. If you are using our Msite or the Android app you will find the cashback detail tables by clicking the (i) icon on top of the header of our store page. What is Confirmed Cashback in Deals Cashback section? Confirmed Cashbacks are those which have been approved as valid sales from retailers. Your Confirmed Cashback automatically gets added into your TalkCharge balance. What is Pending Cashback in Deals Cashback section? Pending Cashbacks are those which are tracked by TalkCharge and have been acknowledged by retailers. However, the retailers haven't confirmed that they will actually send this cashback yet because they are still in the period of return or cancellation, so you have to wait until it gets confirmed. Usually Cashback gets confirmed within 4-10 weeks depending upon the retailer return/cancellation policy. In case of return/cancellation of your purchase, the cashback also gets cancelled from the retailer. Does TalkCharge balance/TalkCharge Cashback in my account expire? No, your TalkCharge balance & cashback doesn't get expired. Why is the amount shown as Pending cashback is only estimated? The amount we show you as Pending cashback is only an estimate from our end based on your purchased product category and price. This is because the respective merchant doesn't provide us the exact information required to track the confirmed value of your cashback. For an example: If you have bought something from Flipkart your cashback will be based on certain factors like if you are a New/Old user, Or If you are making the purchase through App/Desktop/Mobile, Or which category purchase have been done like Clothes, Electronic or Mobile. This complete information is not shared with us till your cashback is confirmed. Hence, the pending cashback amount is just an estimate. In case your cashback transaction is confirmed for an incorrect amount, of purchase, you can always file a Missing Cashback Entry for the discrepancy related to the amount. Why does TC Cashback take so long to confirm? 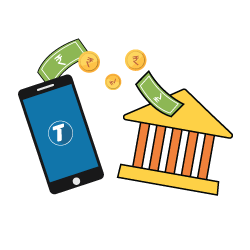 The TC Cashback is dependent on the Merchants confirmation of the purchase. The Merchants wait till the time return or exchange policy is valid for any bought product. Once the purchase is confirmed and merchant has validated the conditions for the respective cashback, the information is conveyed to us. The complete process takes around 4-8 weeks. I made a Food Order or Booked a Movie Ticket which cannot be returned or cancelled; why do I still have to wait till 4-8 weeks? we understand and agree with your concern about having to wait for 4-8 weeks for the cashback of products that you have already consumed. Unfortunately in such cases we are completely dependent on Merchant confirmation, as stores like Dominos, BookMyShow and more are still providing us with information on validated cashback in 4-8 Weeks. 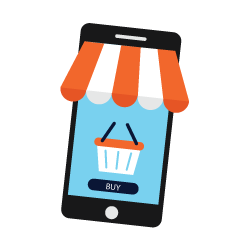 However, we would like to assure you that our team is continuously chasing these merchants to reduce the waiting time as much as possible from their end. How to find when there is no cashback? 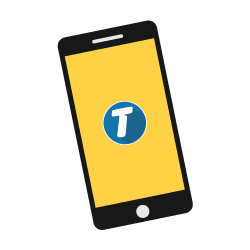 The stores which do not have an orange/Blue label saying 'Extra TC Cashback' are the ones that do not carry extra cashback from TalkCharge. What happens if my Pending cashback gets cancelled? Unfortunately if any of your cashback gets cancelled we will have to remove the same amount from your Pending Cashback. Also the same will be highlighted at your Deals Cashback Transaction history. This is totally dependent on Merchants last decision. Why was my Pending Cashback cancelled? The order was purchased using a giftcard, gift code or gift voucher. The order was Purchased using Cash on Delivery(COD). The order has been classified as bulk order from a seller. The order did not comply with the store's cashback policy. Sometimes stores might not provide us with any specific reason for cancelling the cashback. In such cases a Missing Cashback claim can be filed and we will do our best to find the reason for cancellation of the cashback. How can I ensure I get my TC Cashback? Be logged in to your TalkCharge account. Make sure to see the Orange/Blue label while shopping at a store to confirm TC Cashback. When you click on Get Code/Get Deal, TalkCharge will redirect you to original store page. Please ensure that you transact only in the redirected window. Please ensure that your shopping cart of the store is empty at store. If it is not empty please clear the contents of your cart and visit the store via TalkCharge again. My purchase via TalkCharge is not tracked. Do I need to submit a cashback claim? We recommend our users to wait for at least 48 hours after the purchase is made. In cases the purchase is not tracked automatically even after 48 hours, we recommend that you fill a missing cashback form available in Deals Cashback section. Once we receive the missing cashback ticket, we raise it to concerned retailer and attempt to get it. The Extra TC Cashback in your TalkCharge wallet is your money and you can use it for to avail the services offered by TalkCharge. These services include DTH recharge, mobile recharge, electricity bill payments etc. The money in your account will never expire. I want to withdraw my TalkCharge wallet balance into Bank Account. What do I do? As per RBI guidelines, withdrawal to bank account from your TalkCharge account is not allowed, however you can always use your wallet balance for doing recharges, bill payments and purchasing giftcards. Can I transfer my balance to another TalkCharge account? As per RBI guidelines, balance transfer to other TalkCharge account is not allowed. In case we come up with this feature, same shall be notified.